In this space I've written a lot about habit and behavior change. A few months ago I realized my eating habits had caused me to gain so much weight I feared for my health. My best weight is about 165. One pound at a time, I had ballooned to 192. My blue jeans didn't fit anymore. I had a gut. I tried dieting but it wasn't working the way it used to when I was younger. My youngest son, who is 41, told me he had lost 20 pounds without dieting or exercise. He had simply changed the way he ate. He explained his approach to me, but it seemed exotic and weird. I didn't think it would work for me. And then my friend, Meredith Bell, told me that she and her husband had lost a huge amount of weight doing the same thing my son was doing. 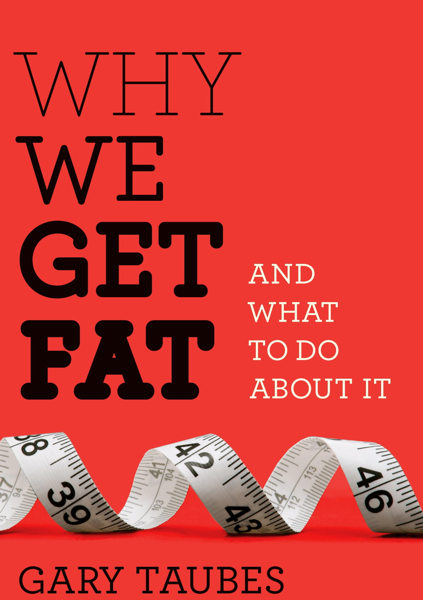 She recommended I read Why We Get Fat, by Gary Taubes. The book explains that we put on weight when our bodies store fat rather than burning it for fuel. When we store fat instead of burning it, our active bodies crave more food. And men tend to store fat in their gut. So what causes our bodies to store fat instead of burning it? The answer is simple: when the insulin level in our blood rises, it signals our fat cells to store fat. And our insulin levels rise to counter high levels of sugar in our bloodstream. What causes the sugar levels to rise? Well, one way is by eating sugar! Sucrose from sugar in foods such as desserts and food products made with sugar. Fructose from fruits. And alcohol. And "fast" carbohydrates. All carbohydrates turn to sugar, but "white" carbs do this as soon as you put them in your mouth! Pasta, potatoes, pizza crust, bread, and rice. Corn and beans have lots of carbohydrate grams, so avoid them, at least initially. What my son and my friend had done was to eliminate these foods from their diet. On the other hand, meats - even fatty meats - are fine. So beef, pork, fish, chicken, eggs - protein sources are all good. Even sausage and bacon. And all green vegetables are fine. So instead of my usual granola and flax flakes topped with fruit and yoghurt for breakfast, I started eating variations of bacon and eggs with green vegetables. A variety of green salads for lunch. Meat and vegetables for dinner. My wife is a creative cook, so there was no chance of getting bored with this new way of eating. Instead of watching calories, we got a book that helped us watch our carb intake. Our goal initially: 25 grams of carbs a day. Two amazing things happened. First, I began losing a pound a week, without any extra exercise. Second, I stopped feeling hungry at noon. I would have skipped lunch, but my wife made me eat anyway, for health reasons. So, 22 weeks later I had lost 22 pounds. I'm down to 170. Instead of my big gut, I have a small gut. My blue jeans fit again. Now I'm burning the fat I eat, not storing it. If I lose another 5 pounds during the next four months, I figure my gut will be all but gone. Grocery shopping was a little strange at first. I noticed there was a lot of stuff missing in my shopping cart. No wine. No beer. No bread. No crackers. No cereal. No milk. No yoghurt. No fruit, except for small berries. No potatoes. No beans. No corn. No rice. No pasta. No candy, cakes, pies or desserts of any kind. In its place: beef, pork, chicken, and seafood. Leafy green vegetables of all kinds. Almonds and canned sardines or smoked oysters for snacks. Soda water and lemons. Tomatoes, peppers and onions. We prefer organic veggies and grass-fed meats. Olive oil and butter. But it works, my brothers and sisters. And Taube's guidelines are endorsed by doctors at the Duke University Medical Center. I've even noticed many of the healthy eating books, programs and websites are now describing the same approach. This is our routine now and we like it. Of course it helps that we're over sixty and clearly understand that we aren't going to live forever and our health and time with loved ones are all we have. Six months ago I knew nothing about this. Now I do. Now you do. If you're intrigued, read the book. FYI - the above is NOT a paid endorsement of the book.